Do the Na'vi bury their ikran? Just something that popped into my head. If the bond between an ikran and a Na'vi lasts a lifetime, and let's say they share this bond for a very long time, then I don't think it's too outlandish to assume that ikran have their own burial ceremony, considering both species have very close ties almost to a point of a symbiotic relationship. I doubt Neytiri just left Seze by that tree trunk. Hopefully the sequel might feature some burial of Seze? Maybe? Now that's interesting. Me myself would see it as rather awkward to bury something 5 times the size of a Navi (even bigger?). But surely the Omaticaya (and other clans) have a lot of Na'vi to bury And many of those cases, their Ikrans. Maybe they bury the fallen Navi's with their Ikrans huh? Just got me thinking... like, just what a damn battlefield it must look like there in the jungle... both RDA equipment scattered all over the place and dead navis and skypeoples Do you think the RDA took care of their soldiers or do the Navi just leave them in the jungle or actually bury them too? I wonder... it is nevertheless a problem/project for all the surrounding clans. Perhaps we'll see a glimpse of it in the sequel, i hope. 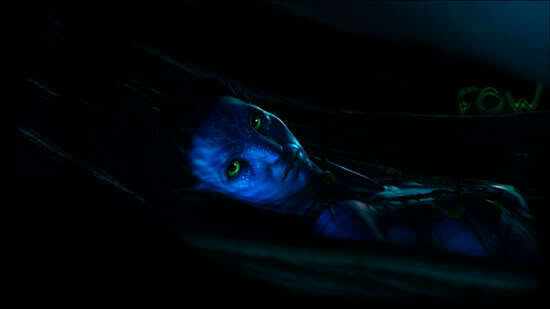 I like the idea of burying Na'vi with their Ikran if they died together. But what about their mates? Is it wrong to assume that mates are buried next to each other? It might be another idea to suggest that they cremate their Ikran? That would save a lot of digging and space. I though would be happy to dig a hole for my Ikran and I bet the Na'vi would be too. But who knows? I bet the equipment was left but about the dead soldiers. That's a tough one. They deserve a proper burial but the Na'vi probably didn't want more sky people wandering around in their woods. And I don't blame them. Plus who knows how much room was left on the ISV or the shuttle to take them back? This raises another question. Did humans who got killed on Pandora get buried there or were they taken back? Or cremated like on Earth? Hard question. I see the Na'vi as the noble kind and actually respects the fallen enemies... even though all the horrible chaos they've brought upon them... If the human now would instead take care of their corpses... as the greedy corporation they might be, maybe just send them out in space. Or, they (Selfridge) have learned something and want the families back on earth know about their fallen family member. I doubt that Selfridge would be that cold hearted just sending them out in space though He is not like Quaritch... although, Quaritch isn't mad to that level either. An ikran would be difficult to drag over a forest floor but then again, the death of one is most likely a special event as it would be a rare occurence. They would definitely take the time to do something with it ceremonially. Most likely bury it but I highly doubt they would cremate it (just doesn't seem like they would view the act of cremating as a proper way of returning something to Eywa). As for the bodies of the RDA soldiers, Selfridge did seem to negotiate a surrender. It is possible that he and Jake could have reached an agreement for collecting the bodies. Last edited by Banefull; 12-06-2010 at 03:38 AM. I do not believe so. I think they obviously perform a ritual then leave the Ikran where it died.